Home Tags Posts tagged with "etta james’ grandparents"
Etta James, the US soul singer best known for the tracks At Last and for I’d Rather Go Blind, has died aged 73. It was announced last year that Etta James had been diagnosed with leukaemia and was undergoing treatment. Etta James began singing in a group aged 14, before she embarked upon a solo career where she signed to the legendary Chess Records label. The singer went on to win six Grammy Awards and was inducted into the Rock and Roll Hall of Fame in 1993. Legendary producer Jerry Wexler once called her “the greatest of all modern blues singers”. 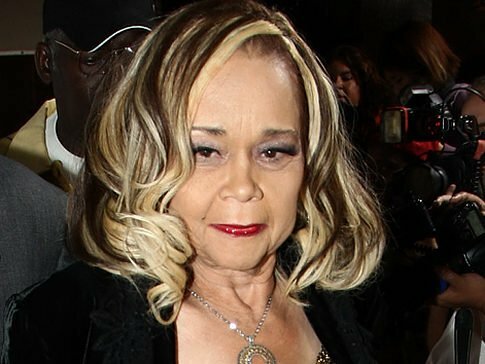 Etta James’ manager said she died at Riverside Community Hospital in California with her husband and sons at her side. “It’s a tremendous loss for her fans around the world,” Lupe De Leon said. Born Jamesetta Hawkins in 1938, her mother was only 14 years old, and she never knew her father. Raised mainly by friends and relatives, Etta James began singing when her grandparents took her to a Baptist Church, where she joined the choir as a soloist. Later, in San Francisco, she formed a singing group called the Creolettes, who were discovered by bandleader Johnny Otis, who coincidentally also died this week. The band recorded together for a number of years but it was not until 1960, when Etta James signed to the legendary Chess Records as a solo artist, that she began to achieve musical recognition. It was for this label that Etta James released her two most acclaimed albums, At Last and The Second Time Around. The former included her impassioned cover of Muddy Waters’ I Just Want To Make Love To You, which is considered the predominant interpretation of the song – and gave Etta James her biggest chart hit in the UK, landing at number five in 1996 after it was featured in an advert for Diet Coke. However, her success in the 1960s was hindered by an addiction to heroin, and she was forced to rebuild her career after quitting the drug in 1974. Although Etta James was popular on the R&B and blues scene throughout her career, mainstream success eluded her for many years. Etta James did not receive her first Grammy Award until 1994, for the album Mystery Lady, which consisted of covers of Billie Holiday songs. In 2003, Etta James was given the Grammy Lifetime Achievement Award.